Do you have a closet full of aging, bulky video tapes? 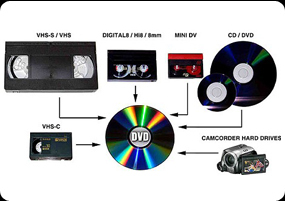 Convert and transfer 8mm movies or VHS tapes to DVD. Transfer VHS, PAL, or SECAM video tapes to the format you need. Now you can easily view your favorite memories and share them with family and friends. 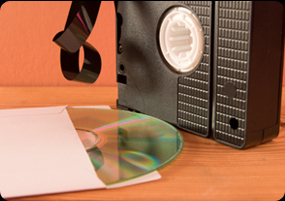 Reduce your video library or preserve your family footage by calling us today! Kinwood Multimedia can scan your favorite photos, negatives, slides or digital media to a photo CD for archival storage.